Your choice is simple! Do you grab three more items or do you keep what you have? 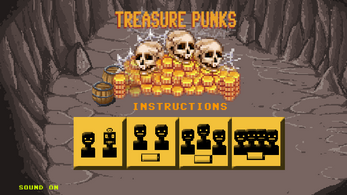 Treasure Punks is a game of pushing your luck. 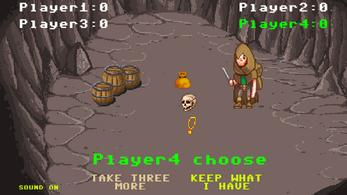 The first player to grab 13 treasures wins the match. 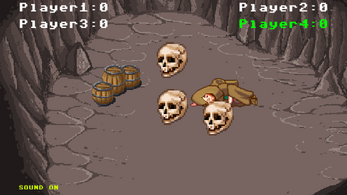 Mind your grabbing though - there are skulls hidden in the pile! 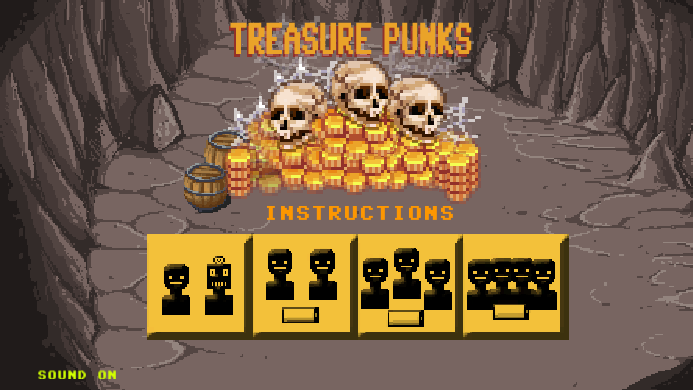 Disturb three skulls and lose your points! 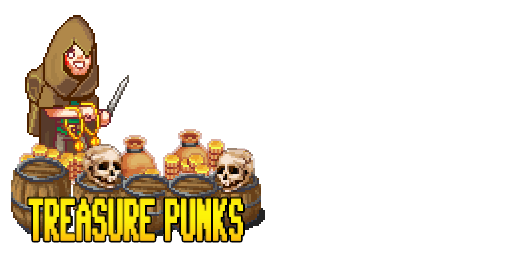 Add a few characters with a once-per-game power. Add Bluetooth multiplayer for Android.